Unfortunately, Safeway check cashing is no longer offered at the grocery store chain’s locations. The information regarding Safeway check cashing was removed from the corporate websites and the locations we contacted said they discontinued the service in approximately 2013. When the company did offer check cashing services they would only accept payroll checks that were written within a 7 day period of cashing them for a fee of $2.25 per $200.00 dollars cashed. 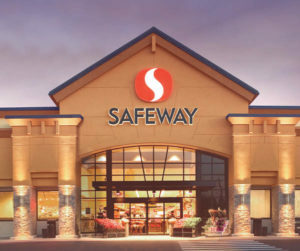 Safeway will accept personal checks and business account checks as a form of payment as long as you have a valid ID and/or business tax documents. The return check fee at Safeway is $30.00 and they use Certegy to verify checks when they are presented. When changes are made to the Safeway check cashing policy we will update this page.